Anabel has been a guest speaker at fashion-related talks in London, Paris and New York, as well as on several podcast channels in regards to her work in fashion psychology and her platform, The Psychology of Fashion. During a talk at the London College of Fashion in February 2019, a member of the audience asked Anabel a question regarding the lifelong stability of personality traits and how they influence lifestyle decisions. Here, she explained her take. Anabel was interviewed by Middle Eastern entertainment network MBC about the legacy of designer Karl Lagerfeld following his passing on February 19, 2019. In December 2018, Anabel was on a panel at Voices of Fashion on Mental Health, an event in London hosted by iCAAD that she collaborated on through her platform The Psychology of Fashion. Anabel at a HubDot event in London, talking about her journey from psychology to fashion, and coming full circle to launch The Psychology of Fashion. 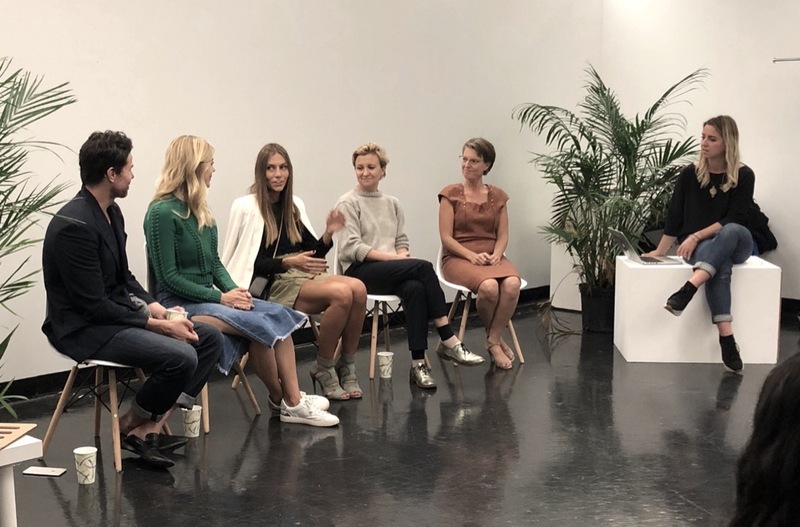 In September 2018, Anabel was part of a panel of leaders in ethical and sustainable fashion focusing on conscious shopping, hosted by Balanced Fashion in New York City. Anabel talks to Stephanie Irwin of Fashion Originators about fashion psychology, her favorite books, advice, and how she got into fashion. On #40 the Washington DC-based "Ordinary People Doing Extraordinary Things" podcast channel by Keri Roberts, Anabel spoke about what fashion psychology is, the things that what you're wearing can say about you, and how we derive a sense of self from what we wear. On #37 of the Washington DC-based "Ordinary People Doing Extraordinary Things" podcast channel by Keri Roberts, Anabel talks about how what we wear can act as a sense of therapy, what certain colours mean, and how to find "the right" style that's aligned with our identities. On #34 of the Washington DC-based "Ordinary People Doing Extraordinary Things" podcast channel by Keri Roberts, Anabel talks about how to dress for career success, what certain details can say about your professional merit, and applying the 80/20 rule to style. On #31 of the Washington DC-based "Ordinary People Doing Extraordinary Things" podcast channel by Keri Roberts, Anabel talks about how to dress for dating success and what your look can convey about your sense of romantic self-worth.